RUSSIE – Bittsevsky Forest - Today, Bittsevsky Forest is one of southern Moscow’s most isolated spots. 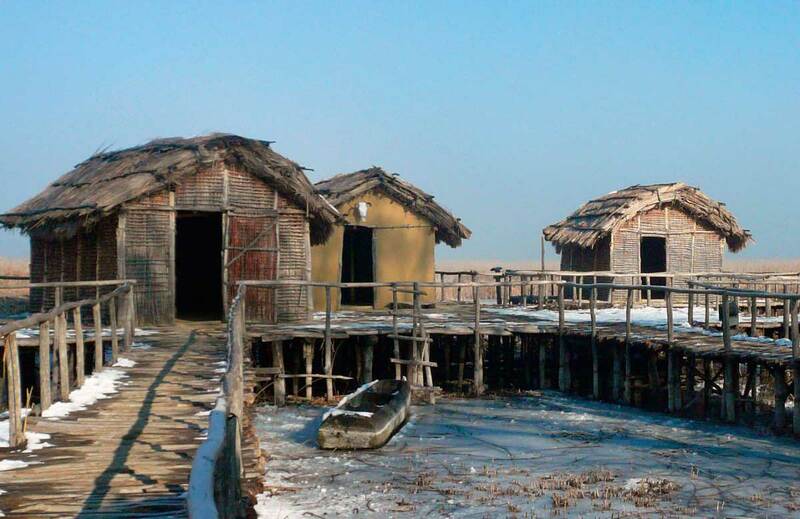 But 1,000 years ago, it was home to a dense settlement of Vyatichi, a Western Slavic tribe. Archaeologists know about these ancient inhabitants thanks to around 15 sets of burial mounds uncovered in the forest. While burial mounds, or “kurgany,” have been uncovered in other parts of Moscow, Bittsevsky is home to by far the largest and best-preserved concentration. Objects recovered from the gravesites are now held at a variety of museums. But the mounds themselves remain intact. The forest was a natural choice for habitation thanks to the nearby Chertanovka River, which served as a means of transportation. Judging by the high concentration of mounds, the people who lived here were land-cultivating peasants; tribes that subsisted primarily on animals, such as the Ugri, didn’t live in such dense settlements for fear of over-hunting. Burial mounds were made by placing a body on the ground, along with the everyday objects the person would need in the afterlife, then piling dirt on top with wooden shovels. The practice vanished by the 15th century, as the spread of Christianity wiped out pagan rituals. 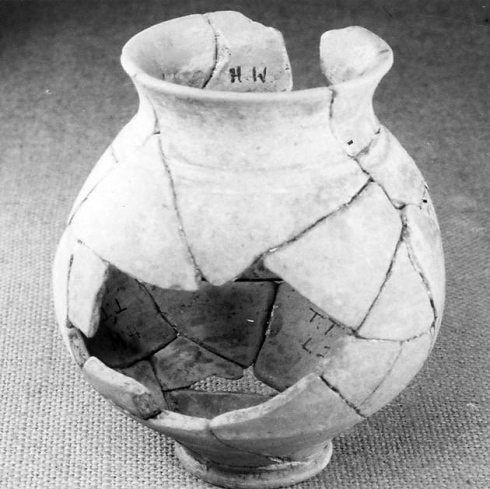 Most of the objects uncovered in mounds by archaeologists are broken—but this is no accident. According to legend, ancient Slavs believed that the afterlife (“Nav”) operates in reverse: everything dead comes alive again, and everything whole is broken. Therefore, in order for a person to use his possessions in the afterlife, it was necessary for them to be destroyed. “Pots, knives, even the silver rings the Vyatichi women wore—they were all broken,” Gladkov said. CHINE – Grande Muraille - The Great Wall of China was once a very great wall indeed. A new survey shows that all the bits joined together would have stretched halfway round the equator. 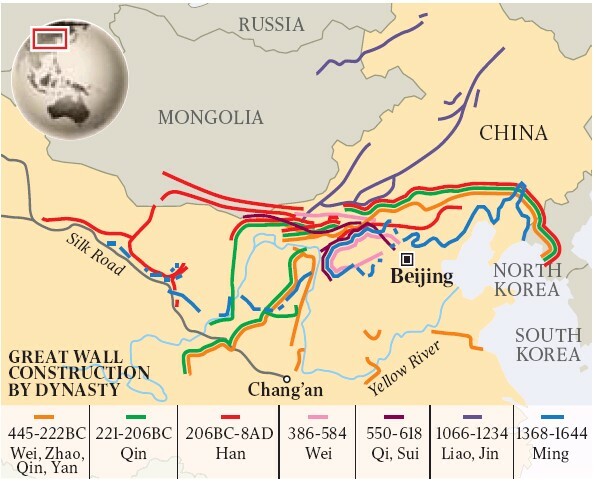 State archaeologists have declared the Great Wall to be 21,196.18km long — more than double the previous estimate. The figure includes immense stretches that have vanished or are visible only to the trained eye. ROYAUME UNI – Highgate - A former archaeologist from Highgate believes medieval, Roman and even prehistoric remains could be under a former hospital for the mentally ill. Michael Hammerson, of the Highgate Society, believes the site could be significant archaeologically because of its rich history. “I consider their assessment to be completely inadequate. It suggests to me that they do not care whether there is any undiscovered archaeology on the site which could be destroyed in the development. “Their comments suggest they appear to either be unaware of this evidence or have disregarded it. “This could be dangerous and potentially expensive for them in the event that something is found.” Records show that nearby Cherry Tree Wood was once part of the Hunting Park of the Bishops of London, dating back to the early 12th century. At that time the bishops created a huge enclosed park called Great Hornsey Park. “The land was owned by the church which needed to raise money for its huge running costs,” said Mr Hammerson. “There would have been houses for the parkers, cottages for the farm workers, sawmills to process the timber from the woods, mills for the grain grown in the fields and accommodation for the hunting bishops and their important guests. “A huge amount went on and must have left traces throughout the area.” Mr Hammerson will present his findings to Haringey Council after the application has been submitted. To find out more and to see sections of an original Roman kiln recovered in Highgate Wood, visit Bruce Castle Museum in Lordship Lane, Wood Green. ROYAUME UNI – Winscombe - A new pamphlet, published by Avon Local History and Archaeology (ALHA) will enable people to catch up with what Mick and his volunteers have discovered about these two, very different, settlements. Since 2008 Mick has been exploring Winscombe's past with the help of local historians, comparing maps of different dates to try and make sense of the changing landscape. Some surveys, which give a wealth of detail, such as the crops grown and the animals kept, date back to the 16th century. Over a 100 one metre-square test pits have already been dug in the parish (the final aim is 500) and locals encouraged to bring in any interesting finds that they may have made over the years. Test pits at Sidcot School have, so far, yielded a Neolithic stone axe, waste from a metal smith's fire and medieval pottery. On top of this nearly 50 historic buildings in Winscombe have been surveyed, the oldest being West End Farm in Barton which has been dated to the late 13th century. AUSTRALIE – Dampier - An archaeologist says the WA Government is falling short of its obligations to protect priceless rock art. Ken Mulvaney has been researching rock art in the Kimberley, the Pilbara and the Northern Territory for the past 30 years. Now based in Dampier, he is paid by a mining company to protect culturally rich areas like the Dampier Archipelago and Burrup Peninsula, where some art is thought to date back 30,000 years. Dr Mulvaney says mining companies and university research bodies are the only ones spending big to protect the state's heritage. Dr Mulvaney says it is ironic that the mining sector, which poses one of the biggest threats to rock art, is also its biggest benefactor. He says it appears the State Government is escaping without having to invest in long term protection and research. POLOGNE – Poznan – For something old, and rare in there. Not far from the western city of Poznan is a nature reserve with a heavenly difference. It’s the Morasko Meteorite reserve. The latest discovery there is a magnificent ebony hunk of iron which fell to earth 5,000 years ago. 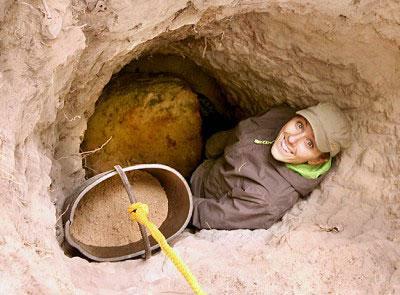 Weighing 260 kilograms and with a circumference of two meters, it’s the biggest meteorite ever found in Poland. Scientists are hoping it will give up some secrets about the creation of the Universe. This is the largest known meteorite ever to have fallen from the heavens over Poland. It crash landed about 5,000 years ago in a meteor shower, in what is now the Morasko meteorite reserve near the western city of Poznan. A young couple discovered it in October using a probe to detect electromagnetic anomalies in the Earth’s surface. According to experts, the largest meteor shower ever to hit this part of Europe came 5,000 years ago. So far, geologists have unearthed 1.5 tonnes of meteorites at the Morasko meteorite reserve, just north of the city of Poznan.